The aesthetic requirements in nowadays are very demanding. The teeth are becoming more and more "straight and white". 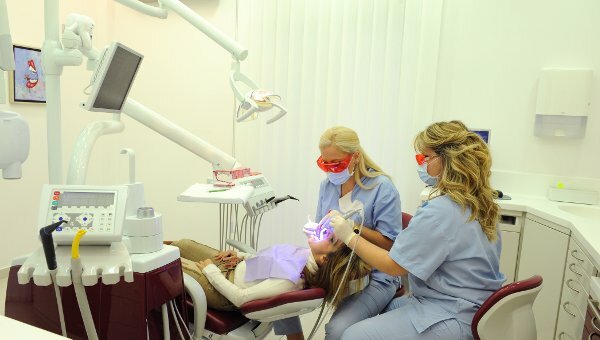 People whose teeth have no major problems can improve their smile, simply by making only one appointment using the special whitening lamp in the dental office spending the minimum time and getting at low cost white teeth. But even those who either have multiple cavities, "crooked" teeth or missing some, with the help of cosmetic dentistry can gain perfect smile. The solutions and the costs vary depending on the mood and dental problems of each. Metal-ceramic or ceramic crowns or bridges, partial or full dentures, implant restorations give the solution to every problem successfully.